Authentic Mexican-Spanish Cuisine in Ladysmith, B.C. Maya Norte brings together the best of Spanish and Mexican cuisine. With authentic dishes and a buoyant atmosphere, Maya Norte promises to leave you wanting more. Maya Norte was created by Anne Manning and Peg Montgomery, former chef of Vancouver's legendary Delilah's restaurant. The restaurant draws inspiration from 14 years of living in Mexico and owning and operating the following restaurants: Restaurant Maya, Maya Tapas and the Upper Deck (on the Sunshine Coast). A traditional Mexican dish, we have daily taco specials as well as other Mexican dishes that will delight your taste buds. Our tortillas are hand made in-house. Everything features fresh and authentic ingredients. Tapas are small plates or appetizers. In Spain, patrons order different tapas and combine them to make a full meal. Tapas encourages sharing and conversation amongst friends as well as experiencing different flavours. 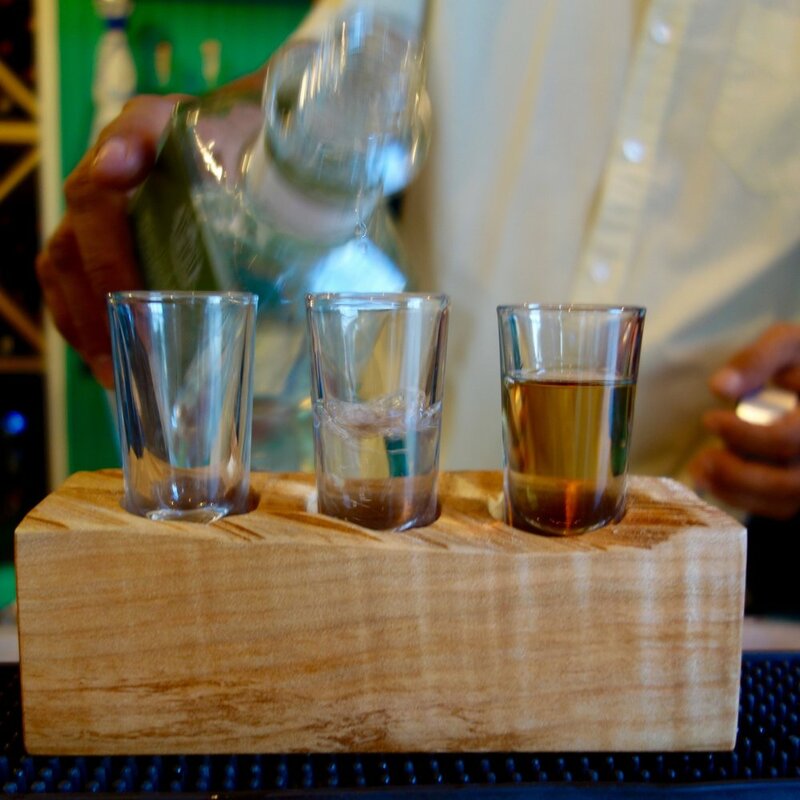 With over 20 different tequila and mezcal, our tasting flights are designed to provide you with a shared fun experience as well as some insight into the different flavours, aromas and categories of tequila and mezcal.